Angelo Lo Conte was an Endeavour Postdoctoral Fellow at the Australian Institute of Art History in 2016. 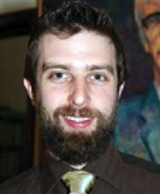 He has recently completed his PhD at The University of Melbourne with a thesis on the Procaccini workshop in Milan. His first book, Guida all’arte medievale in Finlandia was published in 2014. Throughout his residency, Angelo investigated the essential role played by prints in the circulation of ideas, discoveries and emotions in seventeenth-century Europe, understanding them as a visual bridge between Northern and Southern European culture. In particular, he focused on the collections of prints by the Sadeler family held at the Baillieu Library. These works shaped the European awareness of archaeological conservation and environmental problems, with the print medium expressing a wave of positive thought ori­ginated from the scientific revolution. Doug Hall was born, raised and educated in Victoria and is a graduate of the Victorian College of the Arts, and was director of two regional galleries before moving to Brisbane in 1987. He was the Commissioner for the Australian exhibitions at the Venice Biennale in 2009 and again for the 54th in 2011. He now lives in Melbourne. From 1987 to 2007 he was director of the Queensland Art Gallery. He has initiated, negotiated and curated many major exhibitions from within Australia and internationally and continues with academic and advisory roles in Australia and internationally. He has served on a range of cultural organizations including Chairman of the Visual Arts Board of the Australia Council, a member of the Australia Council and member of the Australia International Cultural Council (Department of Foreign Affairs); the Asia Art Council, Guggenheim Museum (New York). He recently served on the Executive Committee of the Australia-Thailand Institute and is currently an advisory board member of the Faculty of the Victorian College of Arts and Music; an advisory board member of SCAF (Sherman Contemporary Art Foundation, Sydney). In 2013 he was appointed to the board of the Australian Japan Foundation. He is widely published in newspapers, magazines and journals and writes art criticism for the Australian Financial Review. Under his directorship the Queensland Art Gallery expanded its international focus and developed a strong engagement with Asia, especially through his initiative, the Asia-Pacific Triennial of Contemporary Art. He conceived the idea for the $140 million Gallery of Modern Art and oversaw its development. It opened on 1 December 2006. In 1999 he was awarded the University of Queensland's degree of Doctor of Philosophy honoris causa for his contribution to the visual arts in Queensland. In 2001 he was awarded a member of the Order of Australia, and in 2006 was made a Chevalier dans l'Ordre des Arts et Lettres by the Republic of France. Dr Jagodzinska is an art historian, art critic and curator. She was awarded a PhD in Art History in 2012. She is a graduate of Art History (MA.) and Journalism and Communication (BA., MA.) from the Jagiellonian University, Krakow. 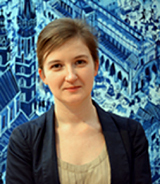 Her academic research deals with museum studies, especially in the region of Central Europe. Her doctoral thesis, titled Museums, galleries and centres of contemporary art in Central Europe (1989-2009) was published (in Polish) in 2014. Dr Jagodzinska has delivered papers and presentations at numerous academic conferences worldwide, including the 32nd Congress of CIHA in Melbourne (2008), 22nd ICOM General Conference in Shanghai (2010), The Making of National Museums and Identity Politics in Taipei (2011), 33rd Congress of CIHA in Nuremberg (2012). She is an author of over 60 articles in the field of museums and art history in academic and specialist magazines and volumes (including the author of four chapters in a first academic textbook devoted to the issue of culture and development in Poland released in 2014 - Kultura i rozwój). She is a member of the editorial team of the HERITO quarterly and local editor of the RIHA Journal - international academic journal of art history, and a member of ICOM, AICA and Association of Art Historians in Poland. She works in the International Cultural Centre in Krakow (since 2005) and in the Institute of European Studies, Jagiellonian University (since 2013). Ben Thomas was a Research Fellow attached to the Australian Institute of Art History, who collaborated with Emeritus Professor John Poynter on a history of the Miegunyah Bequest. He is a graduate of The University of Melbourne, through which he completed his doctoral studies and MA in Art Curatorship, before being appointed the 2009-2010 Dr Joseph Brown AO Fellow at the State Library of Victoria. 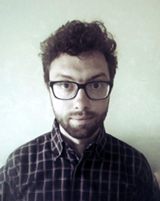 Ben is the current Rusden Curator of the Art Library, Art and Archives at Trinity College, University of Melbourne. He has a keen interest in collecting and collections, institutional history and early Melbourne. He has previously worked with Museum Victoria, most recently as the Assistant Curator, Public Life and Institutions, between 2010-2012. He is a co-author, alongside Dr Charlotte Smith, of the publication, Visions of Colonial Grandeur, Museum Victoria (2014) on the art collections of colonial businessman John Twycross, and has been an Honorary Associate of the Museum since 2006. In 1994 he was appointed Director of the British Museum Development Trust in London, being closely involved in planning the rebuilding of the British Museum (with Norman Foster's Great Court at its centre), and responsible for securing the majority of the funding from the private sector. In 1999 he returned to Melbourne to become Director of the National Gallery of Victoria, Australia's oldest art museum, with a brief to oversee the NGV's complete redevelopment, ranging from the reorganization and internal enlargement of the existing building in St Kilda Rd, with the Italian Mario Bellini as architect, to the construction of a new building in Federation Square (The Ian Potter Centre ), exclusively dedicated to the display of Australian art, both Indigenous and in the European tradition; the architects were the Lab Group. Forty percent of the cost of the St Kilda Rd building project was raised in the private sector. A major program of Australian and International exhibitions was launched, with the NGV becoming the most visited museum in Australia, and in global terms 24th - 26th in the world. A major fundraising campaign for developing the collections was launched in 2008 - Masterpieces for Melbourne - and many highly important art works, from Old Masters to contemporary, including a significant expansion of the Asian collections, were acquired. In 2012 he retired from the directorship of the NGV to return to academia, taking up a research professorship in The Australian Institute of Art History at The University of Melbourne. 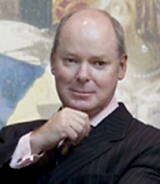 In 2014, Gerard Vaughan was appointed Director of the National Gallery of Australia. PhD in Art History 2003, University of Sydney; MA (Hon.) 1996, University of Western Sydney; BA(Hon.) 1993, Central Academy of Fine Arts, Beijing. 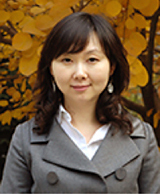 Her academic research focuses on Western modern/contemporary art history theory and Chinese modern/contemporary art. Yiyang has delivered papers and presentations at numerous academic conferences including; The 33rd International Conference of Art History (CIHA), Nuremburg, Challenge of Object, 2012; The 32nd International Conference of Art History (CIHA), University of Melbourne, Crossing Cultures, Conflict, Migration and Convergence, 2008; 29th Art History conference organized by Verband deutscher Kunsthistoriker (Association of German Art Historians) in Regensburg, 2007. Emeritus Professor John Poynter AO OBE Chevalier dans L'Ordre des Palmes Académiques FAHA FASSA has been an Honorary Professorial Fellow in the Faculty of Arts since 1995. 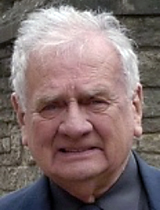 Appointments held within the University before retirement in 1994 included Ernest Scott Professor of History (1966-75), Deputy Vice-Chancellor (1975-91), and terms as Dean of Arts, Dean of the Faculty of Music, Visual and Performing Arts and Assistant Vice-Chancellor (Cultural Affairs). He is also a Fellow (and one-time Dean) of Trinity College, and was Australian Secretary of the Rhodes Trust from 1974 to 1997. Melbourne University Press published his Russell Grimwade (the first volume in its Miegunyah imprint) in 1967; Society and Pauperism (1969); A Place Apart, a history of The University of Melbourne, (with co-author Carolyn Rasmussen), 1996; Doubts and Certainties: A Life of Alexander Leeper (1997) and Mr Felton's Bequests (2003 and 2008). He also contributed the chapter on Australian Rhodes Scholarships to the official history of the Trust (1999), and in 2010 published privately The Tarnished Swan, and Other Sardonic Pieces, a small volume of verse and memoirs. He has recently completed a biography titled The Audacious Adventures of Dr Louis Lawrence Smith 1830-1910, (Australian Scholarly Publishing, 2014) and worked (with Ben Thomas) on the history of the Miegunyah Bequest. 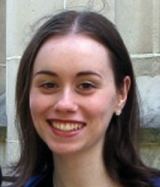 Emily Wubben was based at the Australian Institute of Art History (AIAH) I 2013, having served as the 2012 Digital Content Project Officer for Design & Art Australia Online (DAAO), supporting academic eResearch in the arts. In this role, Emily coordinated enriching collaborative projects between the DAAO and the Cultural Collections of The University of Melbourne, providing online exposure for the University's artistic treasures. Following Emily's extensive research, the DAAO was able to offer unprecedented recognition of the Baillieu Library Print Collection's Australian holdings, featuring works by renowned artists such as Nicholas Chevalier, Noel Counihan, and Roger Kemp. Special Collections, Baillieu Library, is similarly celebrated on the DAAO for its historic nineteenth-century plate books, such as Joseph Lycett's Views in Australia (1824-25), as well as its gathering of artists' books, including inspired creations by the iconic printmaker Bruno Leti. The DAAO additionally highlights the once overlooked collection of the Victorian College of the Arts, offering unique insight into the early artistic development of past prominent students and staff dating back to the National Gallery School. Emily's direction of these online initiatives, also including collaboration with the Ian Potter Museum of Art brought to light the Potter's exhibition history, and thereby supported further research into The University of Melbourne's artistic heritage. Moreover, by linking up with the NGV and Museum Victoria, the DAAO has established foundations for future Melbourne projects that shall continue to advance online research in art history and related disciplines. Serving as a portal to Australian art and design, the DAAO offers researchers the ability to map connections between artists, works, exhibitions and collections, potentially triggering new lines of enquiry and surprising research discoveries. Deborah Howard is Professor Emerita of Architectural History and Director of Research in the Faculty of Architecture and History of Art, and a Fellow of St John's College, Cambridge. She was Head of Department of History of Art from 2002-9 (with a sabbatical break in the middle). A graduate of Cambridge and of the Courtauld Institute of Art, she taught at University College London, Edinburgh University and the Courtauld Institute, before returning to Cambridge in 1992. She has held visiting appointments at Yale (summer Term program in London), Harvard (Aga Khan program and the Villa I Tatti), the National Gallery of Art in Washington DC, Smith College, Princeton, and the Universities of Melbourne and Queensland. In 2005 she established the Centre for Acoustic and Musical Experiments in Renaissance Architecture (CAMERA) in the Department of History of Art, University of Cambridge. She was elected a Fellow of the British Academy in 2010. In August 2011 (with her husband, Malcolm Longair) she completed the ascent of all the 'Munros', the 283 highest mountains in Scotland. 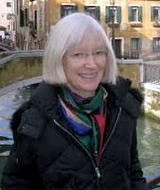 Her principal research interests are the art and architecture of Venice and the Veneto; music and architecture in the Renaissance; and the relationship between Italy and the Eastern Mediterranean. With Dr Mary Laven (History) and Dr Abigail Brundin (Italian) se is coordinating a major ERC Synergy Grant entitled ‘Domestic Devotions: The Place of Piety in the Italian Home’ (2013-2017). 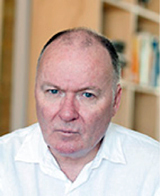 After retiring from his role as Research Professor in the School of Art and Design at Nottingham University, Professor Woodfield was appointed Honorary Senior Research Fellow in Art History at the University of Glasgow. With Glasgow's support he created the online Open Access Journal of Art Historiography, and will also publish a book series, Glasgow Monographs in Art Historiography. Since first working with Professor Gombrich in 1970 as a research student, he maintained his involvement with him to produce Gombrich's Reflections on the History of Art in 1986, The Essential Gombrich in 1996 and create the online Gombrich Archive. 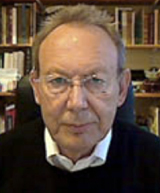 He has also produced many other books and articles related to art historiography and the theory of the image, and has played a prominent role in the international development of aesthetics.